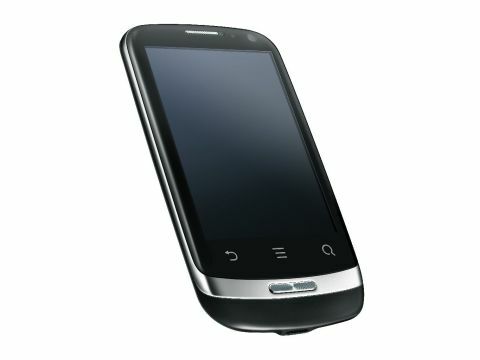 An Android 2.3.4 smartphone, unsubsidised, for £99. Bargain? Functional and cheap, it's a decent entry-level smartphone. But those after an Android demonstration need to spend a bit more. The Huawei Blaze is known by several names, with Huawei calling the smartphone the U8510 in some regions and the IDEOS X3 in others. In the UK, it's called Huawei Blaze, with the Chinese manufacturer managing to sell it unlocked and unsubsidised for an aggressive cost of £99. There are compromises to get it down to that low price, though. The screen is a modest 3.2 inches in size, plus there's no flash attached to the Huawei Blaze's 3.2MP camera. But on the positive side, there's a front-facing second camera for video chat support, and you get Android 2.3.4 as your operating system, with Huawei generously enabling users to deactivate its user interface tweaks and run the phone as a relatively untouched Google device if they prefer. For a budget phone, the hardware itself is rather smooth and sleek. The front of the Huawei Blaze is a seamless glass (or at least a very shiny plastic) construction, with the top edge of the screen bending around the face of the phone. It makes the Huawei Blaze feel like it cost at least an extra fifty quid. Beneath the screen you get an unusual button array, with capacitive touch buttons for Back, Menu and Search, accompanied by a large, rough, metal button beneath them that functions as your standard Android Home button. The metal band that surrounds the Home button stretches up and around the edge of the Huawei Blaze, again making it look like quite a swish little thing. It's also a very thin chassis that's much more stylish than most super-budget Android smartphones. The top edge houses the power button and 3.5mm headphone jack, plus you can see the Huawei Blaze's front-facing camera sensor along the top of the face of the phone – and there's a hidden proximity sensor that locks the touchscreen when it thinks you're making a phone call. The right-hand side just houses the volume up/down toggle, which manages to feel sturdy enough despite being a black plastic button. The back of the Huawei Blaze is very minimalist, with just a metal-trimmed camera sensor and your logos, on top of a matt black rubberised coating. It's pretty bland, but we can't help but quite enjoy Huawei's simple approach. The Huawei Blaze feels pretty nice in the hand, with its grippy back and curved, slimline body lifting it above the bulky plastic competition. It's thin and light, with just enough style to lift it above other competing budget Android phones such as the LG Optimus One and HTC Wildfire S.
The 320 x 480 resolution screen is bright and easy enough to use outdoors. Sadly, the capacitive buttons aren't hugely sensitive, plus the Huawei Blaze can get a bit laggy, forcing you to press things several times to get a response. But in terms of overall look and feel, it's quite a stylish phone.